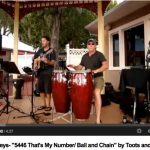 Rhythmic interpretations of your favorite songs from the 60's to today. We provide upbeat yet laid back acoustic entertainment for all types of events and venues. Original acoustic rock music and rythmic variations of our favorite songs from the 60's to today. We provide upbeat yet laid back acoustic entertainment for private parties, weddings, rehearsal dinners, receptions, corporate events, festivals, clubs, bars, and restaurants. Some of the artists you might hear us cover would be: Barry White, David Gray, Sublime, The Beatles, Jack Johnson, Train, Outkast, Katy Perry, Ray Lamontagne, The Black Keys, and Damien Rice. 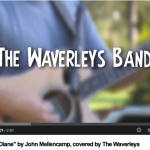 There really is no limit to what we can do and you will never hear anybody quite like The Waverleys. Please call Jeff at 321-948-1346 for booking information. Whether it be an elegant cocktail hour, rowdy beach party, or a busy restaurant, The Waverleys are a great fit for your crowd. 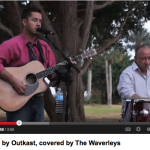 Email jeff@thewaverleys.com with any questions or call (321) 948-1346.